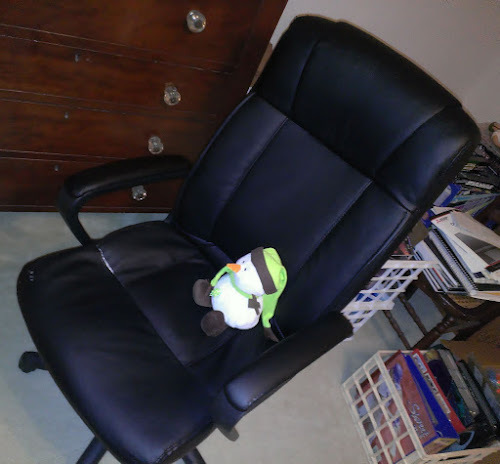 About a year and a half ago, I said goodbye to my trusty writing chair. After I acquired it in 2004, the chair survived two moves, seven novels, and several dozen short stories. It also lived to tell the tale after my brother and I almost killed each other while putting the blasted thing together (weren't not exactly engineers). 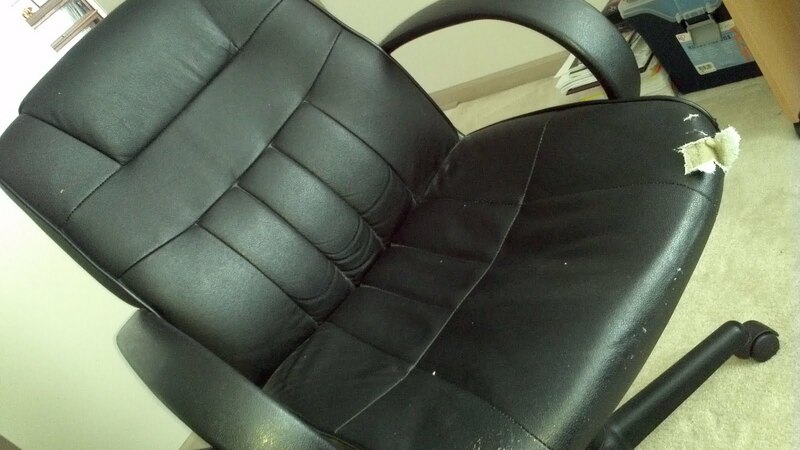 That chair, which lasted nearly eight years, had to be replaced. We took Old Reliable to Goodwill in hopes that someone could fix it up and make something out of it. We played "Amazing Grace" on the bagpipes...it was an emotional time. I don't know why Spock isn't there--we sent him an invitation. 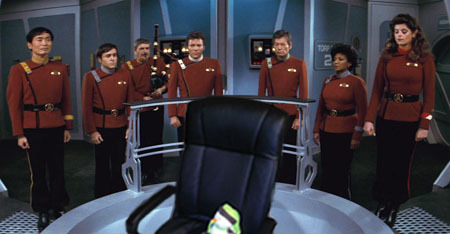 And before you get any fancy pants, J.J. Abrams-rehash ideas, we didn't launch the chair toward the Genesis Planet. Right out the torpedo tube for this one. No "Amazing Grace"--just pure explodey. Old Reliable's gone. 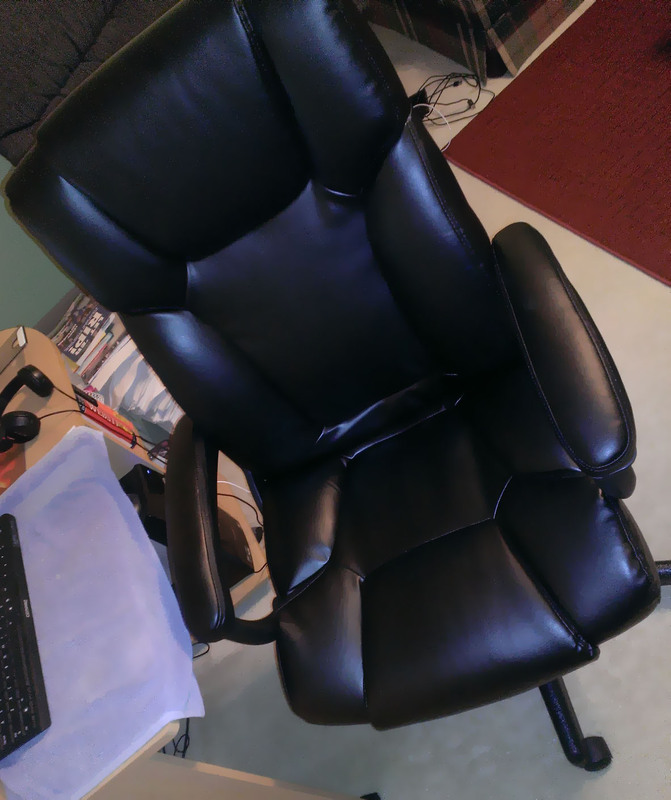 New Chair's a distant memory of inferior craftsmanship and space debris. What's next? I don't know what to call it yet. I just hope it's more like Old Reliable and less like New Chair. Because New Chair is a disappointment, like the Xbox One reveal and the Star Wars prequels. And Game 7 of the Eastern Conference Finals.